Refresh and cleanse daily with this ultra-mild foaming gel-wash that is 100% natural source yet very effective in removing dirt, oil and makeup. Infused with calming botanical extracts of Chamomile and Lavender, which have been used for centuries for their skin conditioning properties, this formula is further enhanced with a 10% concentration of Tepezcohuite Bark Extract for enhanced revitalization. Directions: Dispense a small amount of Botanical Cleanser into palm. Add a small amount of warm water and blend together until foamy. Apply to face, gently sweeping fingers over skin’s surface. Rinse with warm water to remove. For removal of eye makeup, remove contact lenses prior to application. Close eyes tightly and gently smooth foaming cleanser/water solution over eyes using a cotton pad or wipe. Rinse thoroughly with warm water and pat to dry. cinale (Dandelion) Extract, *Lavandula Angustifolia (Lavender) Flower Extract, *Glycyrrhiza Glabra (Licorice) Root Extract, *Plukenetia Volubilis Seed Oil (and) Tocopherol, Arthemis Nobilis (Chamomile) Oil, Lavandula Angustifolia (Lavender) Oil, Citric Acid. *Denotes Organic Ingredient. Boring cleanser. Faint smell of florals, but reminiscent of dollar store air fresheners or fake flower smells. Not a fan of the fragrance so I wouldn't buy it again, but it is gentle, so if you have sensitive skin, might be a good option. I've tried many cleansers over the past few years and I always come back to this one. 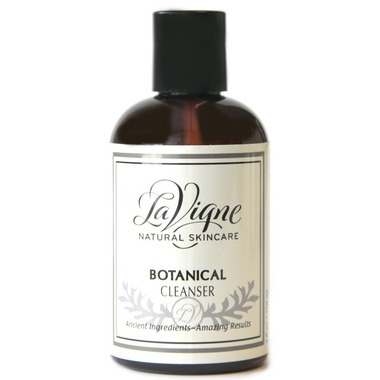 Lightly scented, not too foamy, this cleanser leaves my skin soft and clean without the tight feeling! Love it. I absolutely love this whole line of products. This cleanser is excellent and (following the directions) follow it up occasionally with the Illuminating Facial Polish. Fabulous results!